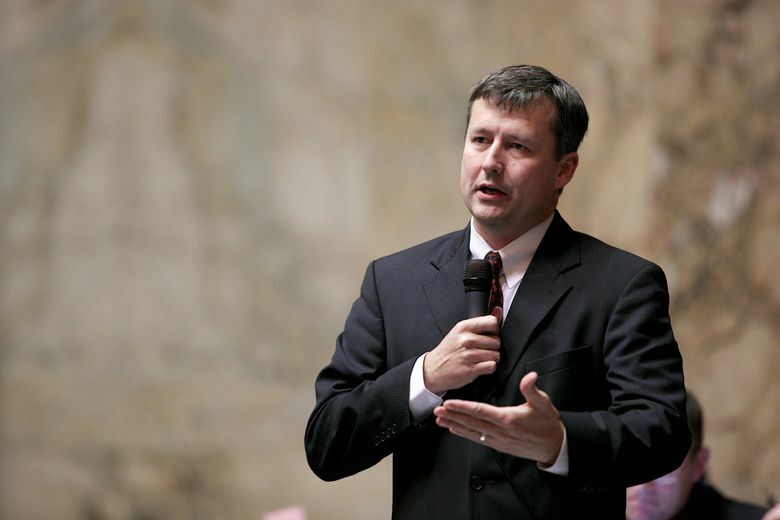 After a dinner in Olympia with state Rep. Matt Manweller, a legislative staff member complained about his conduct. Manweller said he was just being polite and helping the woman find a job. A former legislative staff member says she complained earlier this year about the conduct of Washington state Rep. Matt Manweller after a meeting that she thought was to discuss her career ended up at a restaurant and felt more like a date. The 28-year-old was working as a legislative assistant for the House Labor and Workplace Standards Committee, on which Manweller serves as the top Republican member. She said she initially complained to a supervisor, but after Manweller asked to meet for dinner again, she raised the issue to the House Counsel, which reported back that the matter had been discussed with House Republican leadership. Manweller, who is married to his second wife, has been investigated twice in recent years by officials at Central Washington University, where he teaches political science, over allegations of sexually harassing students. But he told The Seattle Times for a story published last week about those investigations that he had not been the subject of any complaints in Olympia since he joined the Legislature in 2012. Manweller, R-Ellensburg, said Saturday he hadn’t immediately recalled the Olympia issue when a reporter had asked about complaints, saying the matter didn’t result in a written complaint or investigation. He said someone in Olympia — he declined to say who — had simply informed him that a woman had felt uncomfortable around him, and he said he responded by thanking the person for making him aware. The revelation of the complaint comes as charges of sexual harassment have roiled statehouses across the country. In Olympia, more than 150 women have signed a letter demanding changes to a workplace culture many feel has been silently permissive of harassment and inappropriate behavior. Manweller’s first marriage has also come under renewed scrutiny. The Seattle Times reported last week that Manweller became acquainted with his first wife, OraLynn Reeve, when he was teaching and coaching soccer at Reeve’s high school in Utah. He was 28 and Reeve was a 16-year-old sophomore who helped manage the soccer team. Reeve said they didn’t date until she was an 18-year-old senior. They married shortly after she graduated. On Sunday, Reeve told the Times that Manweller kissed her while she was still 17. Reeve said that, as more news coverage has focused on Manweller in recent days, she reviewed her journals and other records, contemplated more about the relationship and decided to discuss it in more detail. She said Sunday that she feels Manweller was flirtatiously grooming her during her sophomore year. He moved away to Montana for graduate school, but she says they reconnected at one point when she was 17, and she says he kissed her then. Reeve said there wasn’t any other physical contact after that until they started dating. Manweller disagreed with Reeve’s characterization of his early interactions with her and said there was no romantic contact until she was 18. He previously told the paper they didn’t date until after she graduated. Reeve first recounted the kiss in a story published jointly Sunday by the Tacoma News Tribune, the Olympian and the Northwest News Network. The former legislative aide who complained is a former student at Central Washington University and once had Manweller as a professor. Both said in interviews they recognized each other during her first day working for the committee. The woman, who asked not to be identified because of her ongoing work in state government, said Manweller was friendly — and appropriate — over the weeks after first greeting her in Olympia. As her time on the committee was nearing an end, both said they talked about her future job prospects, and Manweller offered to help. Texts and emails provided by both Manweller and the woman show his efforts to help her. At one point, Manweller asked to meet with her to talk about her future, the woman said. They eventually planned to meet outside on the Capitol campus, but the woman said Manweller ended up walking them to his car and taking her to a restaurant. The woman said she tried to keep the conversation at the restaurant focused on work, but she found Manweller steering the conversation toward personal issues. She said he asked about her dating life, if she was living alone and whether she could have kids. In the more recent Olympia dinner, Manweller said he asked some basic questions about the woman’s background that would be normal in any conversation. He noted that the woman had once been married to another one of his Central students, so they discussed that. The woman said Manweller didn’t say anything sexually explicit at their meeting but she found him to be flirtatious, making compliments and telling the waiter it would be “up to this beautiful woman” to decide whether they would have dessert. After the dinner, she said Manweller put her coat around her and opened the door to his car for her to get in. “When I first got home after the dinner, I remember thinking, ‘I think I just went on a date,’ ” she said. Manweller said he doesn’t recall all the specifics but said he was only being polite. “I held the door open and I put her coat on? Is that now harassment?” Manweller said. The woman said she complained a couple of days later to her supervisor in the Office of Program Research, who informed the woman of the option of making a formal complaint. She didn’t do so at the time. Manweller immediately responded that he wanted to meet her for dinner because he had a lead on a job opening the woman could pursue with a public-affairs firm. He said in an interview that it’s something he has done for many men over the years as well. The woman said she escalated her complaint about Manweller after the last text, talking about the issue with Alison Hellberg, the House Counsel. She said Hellberg reported taking the issue to Republican leadership. Hellberg said Friday she could not speak about personnel matters. The investigations at Central Washington occurred in 2012 and 2013, mostly examining reported incidents that happened years earlier. The outside investigators hired to look at the issues said in both reports that there was evidence to suggest that Manweller violated the school’s sexual-harassment policies. Manweller has denied wrongdoing and criticized the university’s handling of the investigations. In the wake of the Times article last week, House Majority Leader Pat Sullivan, D-Covington, said in a statement Friday that Manweller should resign. Manweller said Sunday that will “absolutely not” happen.